Please email us if you would like your website listed here – hello@weavespindye.ie. The Crafts Council of Ireland – champion of the craft industry in Ireland. The Royal Dublin Society – committed to furthering the broad economic and cultural development of Ireland. The Association of Guilds of Weavers, Spinners and Dyers (U.K.) – hand weaving, spinning and dyeing in the UK. My Creative Edge – showcases the work of businesses, freelancers and jobseekers working in the creative industries sector in the West of Ireland, Northern Ireland, Sweden and Finland. Bloom – Ireland’s largest gardening, food & family event. The Knitting and Stitching Show – the definitive and best exhibitions for lovers of textiles in Ireland. Craftspun: suppliers of Ashford spinning wheels and other equipment, yarns, and roving. Donegal Spinning Wheels: handmade Irish spinning wheels. Life in the Long Grass: hand dyed yarn family company based in Macroom, Co. Cork. Studio Donegal: suppliers of spun wool and other many items, weaving mill on the premises, visitors welcome. Wingham Wool UK: large selection of fibres for handspinners, equipment, and books. This Is Knit: yarn, roving, drop spindles, and table looms in Dublin. 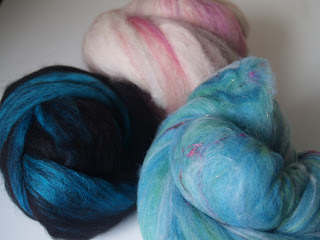 Smudge Yarns: locally sourced Irish wool spinning fibre, as well as hand dyed yarns. S Twist Yarn Studio: Irish handspun yarns by Diarmuid Commins. Markree Wool Craft: speciality yarns and fibres from an Irish flock of sheep in Sligo. The Constant Knitter: yarn and roving and drop spindles in Dublin City centre. Dublin Dye: beautiful hand-dyed yarn and fibre for weaving, spinning and other yarn crafts.